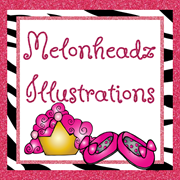 Have you seen this month's Mystery Box giveaway hosted by Nikki at her AMAZING blog, Melonheadz ? If not, you have got to check it out! The winner of this giveaway will be one lucky person!! I hope it is me, but I wish everyone good luck! Click on any picture to hop over to Melonheadz and enter to win!